The temperature dipped to 39 degrees last night. That means saying good-by to my remaining eggplants. This year I grew Black Beauty, Casper, and my new favorite the heirloom variety Rotonda Bianca Sfumata. 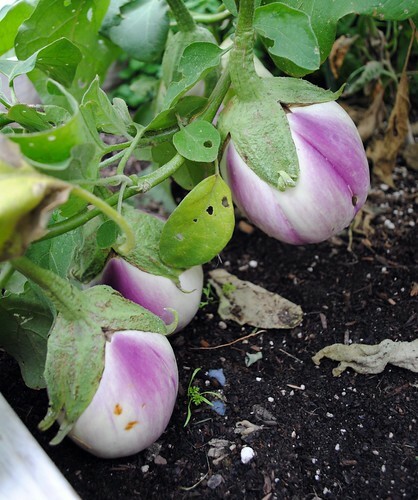 The last three plants had at least ten eggplants on them. I was watching the weather reports cautiously since eggplant and cooler temperatures do not mix. I knew I had to use them fast before it got too cold and they turned to mush. 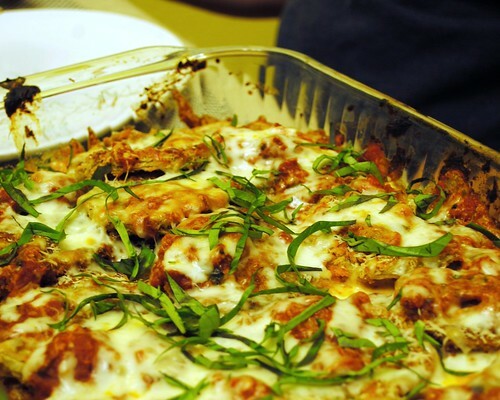 The larger eggplants were quickly used in one of my favorite dishes, Eggplant Parmesan. But the smaller ones were a bit of a challenge. My solution was to roast them on the stove top and use them in Baba Ghanoush. Making Baba Ghanoush takes me back to my college days when I worked as a waitress at a Mediterranean restaurant. The dip was something I could eat quickly on my breaks. I prefer to roast it until it gets a nice char on my gas stove top. It gives it a richer flavor but you can also just cook it in the oven for thirty minutes until it’s nice and soft. I usually serve it with carrots and pita bread. 1. Poke skin of eggplant with a fork. 2. 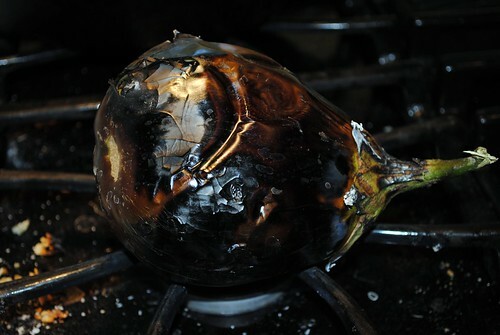 Place eggplants on a top of the flame of your stove top for approximately ten minutes. Turn the eggplant with tongs so it develops a nice uniform charred appearance. 3. 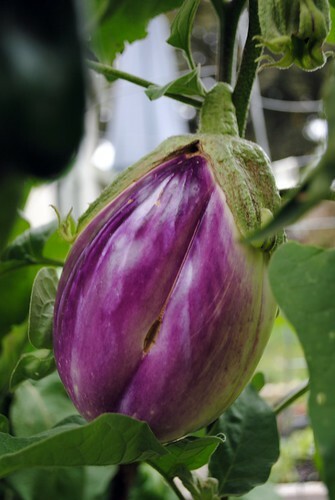 Once the eggplants are completely soft, place them in a bowl and allow it to cool. 4. Cut the eggplants in half and scoop the flesh out and into the food processor. 5. Add garlic, lemon, and tahini until well blended. 6. Serve in a bowl in fold in the parsley.